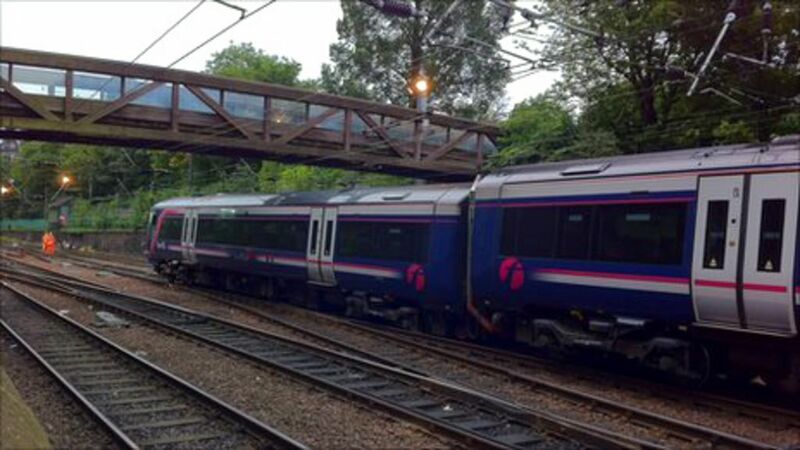 Part of the points on the rail line at Edinburgh Waverley where a train derailed has been found to be 'heavily worn' in a preliminary examination. Part of the points on the rail line at Edinburgh Waverley where a train derailed are found to be "heavily worn" in an investigation. A commuter service runs alongside the Castle Rock in Princes Street Gardens in April 2009. Eastbound 125 passing through Princes Street Gardens in June 1989. Note that the southern tunnel at Haymarket was closed at the time.